The NSW government’s power to compulsorily acquire property for major projects has been bolstered by a recent decision of the Court of Appeal, Roads and Maritime Services v Desane Properties Pty Ltd  NSWCA 196. 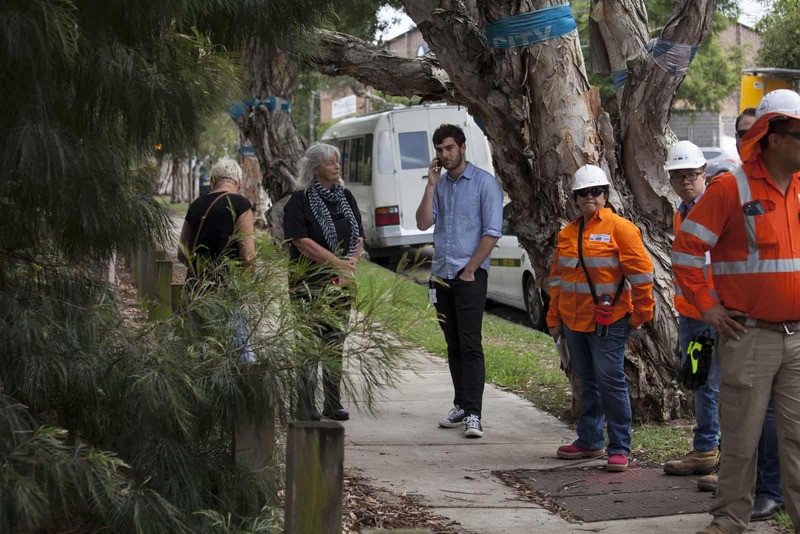 The NSW government had announced in 2017 that an area including the property of developer Desane Properties Pty Ltd at 68-72 Lilyfield Road Rozelle (Desane) would be transformed into open space and parkland after the completion of the Rozelle Interchange section of the WestConnex project. Subsequently, Roads and Maritime Services (RMS) issued a proposed acquisition notice to Desane in order to start the compulsory acquisition process under the Land Acquisition (Just Terms Compensation) Act 1991 (NSW) (the Act). Desane challenged the proposed acquisition notice in the Supreme Court of NSW. Desane contended that the proposed acquisition notice was invalid for its failure to comply with the approved form under the Act, and further that the RMS was motivated by an improper purpose in issuing the notice, being the NSW government’s promise to provide open space and parkland, rather than the construction of the Rozelle Interchange. In the first instance, the Supreme Court found in favour of Desane, finding that the proposed acquisition notice did not comply with the requirements of the Act and was therefore invalid, and further that there was an improper ulterior purpose to the proposed acquisition notice, which would otherwise invalidate it. That decision has now been overturned on appeal, with the Supreme Court, Court of Appeal, finding that the proposed acquisition notice issued by the RMS to Desane Properties Pty Ltd in respect of their property at Rozelle was valid. The Court of Appeal held that a failure to comply with the procedural requirements of the Act does not invalidate a proposed acquisition notice and, regardless, th proposed acquisition notice substantially complied with the requirements of the Act. The Court of Appeal further held that the RMS was not motivated by an improper purpose at the time of issuing the proposed acquisition notice because, on the evidence, the property would be used as a site for the construction of the Rozelle Interchange and therefore was a means to an end under a plenary power of the State. The future plans to use the property for parkland and open space following such construction did not derogate from the purpose of using the land as part of the construction site and the fact that the Rozelle Interchange project, much like most major infrastructure projects, may not in fact proceed did not invalidate the legitimacy of the RMS’s purpose in the proposed acquisition. Lastly, there is no requirement that the public purpose of a proposed acquisition be stated in the proposed acquisition notice. Moreover there is no need to identify the specific use with precision at the time of issuing the proposed acquisition notice. In this case, it was enough that the property was intended to be within a parcel of land used as a construction site for the Rozelle Interchange project. This decision gives the NSW government significant leeway in terms of not needing to strictly comply with the procedural requirements of the Act in compulsorily acquiring property for major projects including not needing to specify the public purpose for which a property is being acquired and not needing to be able to identify more than the general public purpose use to which a property is intended to be put. Contact our land and environment team if you have questions about the acquisition of property by a public authority or corporation. You can email us on enquiries@dowsonturco.com.au or call us on 0295193088.